"To make the enemy came on their own, offer their advantage. To prevent the arrival of the enemy, hurt them. Thus one can make the enemy work hard while he himself calm, and make enemies starve while he himself satisfied". That paragraph was taken from the Sun Tzu's book of war. Many people knows that Sun Tzu book of war were very ancient military literature, This book was writing by Sun Tzu himself, and publicated about 2000 year ago. Missing for many century. and raise again in Europe in 1782 and translated in French language. Many generals and military figures in 18 till 20 century had been adopted Sun Tzu strategies in their conquest. 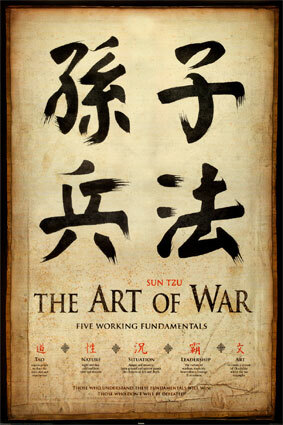 Many scientist believe about Sun Tzu Book of War as the great military book ever made.